"My wife and i did two tours with Discovery, to Guanajuato and Dolores Hidalgo. Dali and Chris are the two tour guides and owners. They are personable, knowledgeable and made our experience fun both days. On the Guanajuato tour we went to the Diego Rivera House and the Juarez theatre, then had time to explore the Jardin area. For Dolores Hidalgo, we visited a pottery factory and the church where the revolution began, followed by a visit to the church at Atotonilco, the Mexican Sistine Chapel and lunch at Nirvana. Highly recommended for the areas visited and the tours themselves." 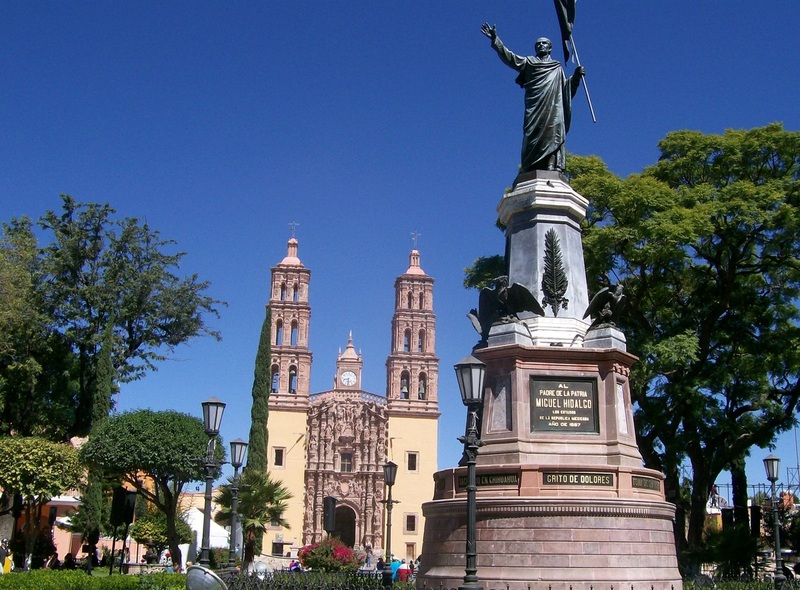 The City of Dolores Hidalgo is known for being the place where the Mexican War of Independence against Spain began. The priest, Father Miguel Hidalgo, from Dolores cried out the famous “Grito” outside the main church on the morning of September 16th, 1810, which became Mexico’s Independence Day. The City of Dolores is also known for its wonderful Talavera ceramics that the local artisans have been making since 18th Century. The amazing Church of Atotonilco is included in this tour. The church is known as the Sistine Chapel of Mexico because of the murals and paintings from the 18th Century in its interior. No doubt this is the best church of San Miguel! Every Friday at 9:00am. You would join a small group for a VIP tour. Groups are limited to 10 people and our van picks you up at your home. The tour takes six hours round-trip. The drive from San Miguel to Dolores Hidalgo takes 40 minutes. We will go directly to a Talavera (ceramic) workshop called Castillo where we will see local people making wonderful ceramic pieces. We will visit the house/museum of the revolutionary Father of the Independence Revolution, Don Miguel Hidalgo. You will have an opportunity to taste different kind of ice-cream like avocado, corn or mole ice cream. On the way back to San Miguel we will visit the famous church of Atotonilco, also called the Sistine Chapel of Mexico. Lunch is scheduled around 1:30pm at Nirvana - a beautiful and peaceful restaurant. ​Your guide/driver is a very knowledgeable and trustworthy English speaking guide. All of our guides are experts in history, architecture, archeology and art. Transportation and English speaking tour guide. Entrance fee to Museum of Miguel Hidalgo ($35 Pesos per person). Lunch at Nirvana restaurant. Entrance fees of museums and lunch. Flexible itinerary. Please make reservations in advance.